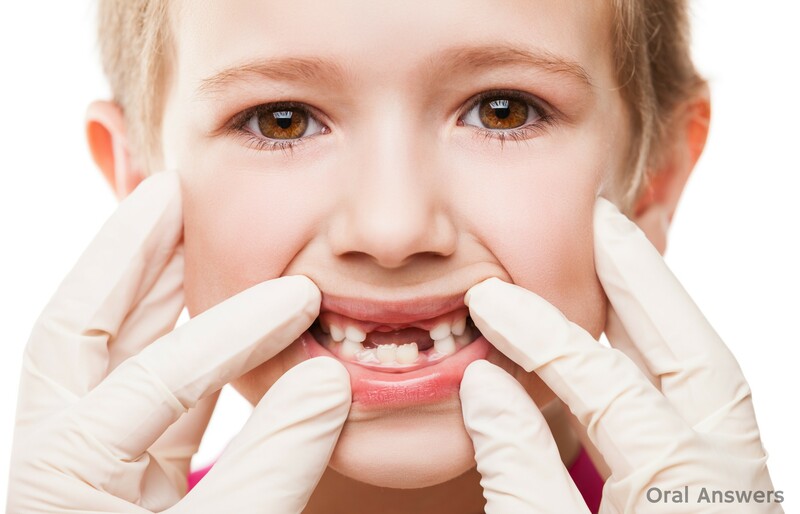 Home Pediatric Dentistry Cavities in Baby Teeth: Should You Get Baby Teeth Filled? My baby got her firsts cavities when she was 6 months, i know shocking i brush her teeth when shes done.drinking her bottle or eating. The dentist wants to wait till she’s 1yr to do something about them. Hi! My 2 year old has cavities and dentists that I’ve seen want to put him under to do the work. What did you do ? Unless the cavity is severe enough to do damage, filling cavities in baby teeth is costly and does no good for any child. I can understand if a child has a very severe cavity that causes pain, but usually these types of cavities take many years to develop. Any child under age 7 who is losing teeth does NOT need fillings! My dentist has remarked to me about this; she will not fill cavities on small children unless infection is a problem, or unless there is pain associated with the cavity. Why have parents spend money on cavities when the teeth are only going to fall out in a matter of months? Hi Sarah – Opinions differ on this. In baby teeth, the enamel and dentin layers are very thin when compared to permanent teeth so a small cavity can become a large cavity that reaches the nerve in less than a year. I’ve seen them grow rapidly. 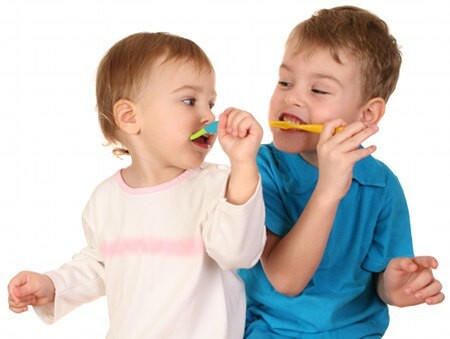 The last baby tooth is usually lost around 11 years old, so it’s best to have the dentist evaluate the situation and collaborate with the parent on what is the best course of action. If a tooth is going to fall out in a matter of months, it shouldn’t be filled as I stated in the article above. Have a great day and thanks for your comment! My 6 yr old just had a dental visit today. She is very afraid, but I got her thru the pictures and the cleaning. Then the dentist tells me not only does she have 7 cavities, but that she NEEDS a Frenectomy. I read an article of yours and was greatly enlightened about a lot of things. My daughter speaks very well, complains of no pain. I see no need for this procedure yet. But, the cavities. Would you recommend I let her be “put under” because she is so afraid? I know she’s not letting anyone near her with a dental drill. Help! Hi Bernard – You may want to ask the dentist what would happen if the frenectomy were not performed. Whenever you will be investing over a thousand dollars into something, it might also be a good idea to get a second opinion. Are any cavities on the front teeth? Those will start to come out around her age. I would make sure that the dentist shows you either x-rays or pictures of the cavities so that you are comfortable with the recommended treatment and then goes over the benefits and risks of sedation while answering all of your questions. I hope that helps! Good luck getting her teeth back into good condition! I found out my son (3) has a number of cavities and the recommendation is to have them filled which I plan to do. My concern is about his future teeth. Will they necessarily have cavities? Hi. My child is 10 and has 3 cavities in one (the same) baby tooth – back top moral. Dentist said you can only see cavity in x-ray? When should this tooth fall out.? Do I fill or wait? Since child is 10 years and 2 months old. I have a 5 year old son and on a recent visit to a new dentist (we moved states), the new dentist said that my son needs several fillings on his back molars. When you inspect his mouth his teeth look fine (nice and white – no obvious problems), but the dentist showed me x-rays of where the enamel is thin and said that they needed to be filled because they were molars that he would have for a while. The dentist was recommended by my son’s pediatrician whom I trust and I understand that he will have them for a while still, but I just don’t know that putting fillings in teeth that have no actual visual flaws is a good idea. Also, he has had a small cavity on one of his front teeth since not long after he cut is front teeth (It is touching the tooth next to it very closely). We have flossed and brushed trying to keep the cavity from getting larger and I think it has worked pretty well… the last dentist who we saw did not fill because he felt my son would most likely loose the tooth before it became an issue and we would just keep a close eye on it until then. The new dentist wants to fill that one as well because he says that it is “close to the nerve”. My question with this is, is it worth it at this point? My entire family including myself, my siblings and my older son have all cut their teeth early compared to most people and lost these teeth at age 5 or 6 at the latest… When I told the new dentist this he said most kids keep those teeth until age 7 so it should be filled too… My son with the issue also cut teeth early so should I put him through getting it filled or just hope that he looses it before it gets so bad as to reach the nerve? Money money money……Is your answer. I would stay-way from the Dentist as he is just trying to make the good ole buck! I have a little boy that is 3 months away from his 3rd birthday, and he has cavities. He has three visible brownish cavities on his two lateral incisors and one central incisor, near the gumline. He didn’t have any cavities when I took him for his first dental appointment 5 months ago. He goes back to the dentist this month. I’m so worried that he will need stainless steel caps. He has such a precious cute smile. I am so ashamed that he has cavities, because I know it’s my fault for not enforcing better oral hygiene. He absolutely cannot fall asleep without a bottle. He was breastfed until he was 22 months old, then I started letting him have pediasure in bottles because he wasn’t eating enough (I didn’t think) and he wasn’t nursing as much either. Once he started getting bottles, he quit nursing and has to have a bottle to fall asleep. He doesn’t sleep with the bottle though. Anyway- my question is this: do they do fillings on a little boy this young, or do they do stainless steel caps? Is there a chance of remineralization if his cavities are light brown/tan and not very deep? Hi Gina, I know what you’re going through. I have a little boy who will be 2 yrs in a week. He is suffering from baby bottle tooth decay on his top front four teeth. I noticed it starting just in January and now 6 months later his teeth look horrible. I was hoping to maybe heal his teeth through a diet change and vitamins but I haven’t been as strict as I need to be about it. The first dentist I saw recommended silver caps but another dentist said she could place composite crowns on his teeth. I like that idea better than putting metal in his mouth. One thing I recently found out about, and not sure why more dentists don’t recommend is MI Paste without fluoride, which is a paste that helps remineralize teeth. I believe when my son’s teeth were first showing signs of early caries and not that far gone, it would have helped immensely! My older son at about the age of 4 was developing a small cavity on the very front of his top front tooth. That dentist just scraped away the decay, put a little bit of cavity filler in it, hardened it, buffed it and he was done. He didn’t give him a shot either which was nice. It literally only took him 3 minutes to do it, but it took 2 nurses and myself to hold him down. But it looks perfect and you can’t even tell where the filling was done a year later! Where? All the dentists we have been to say caps & fill cavities. I have a grand daughter that is seven years old and has a cavity in the back. to get it filled. I think that at her age it would be a big waste of money. Let me know what you think. I have a 3 year old daughter who visited the dentist today. She has 2 cavities on on each of her top molars. The dentist said it was due to deep grooves in her teeth. She recommended two small silver fillings. When I asked about sealants she told me dentists don’t recommend sealing baby teeth. she said the cavities were very tiny the size of the tip of her pen. does this sound correct to you and should I ask to have sealants put on my daughters molar teeth? Children’s must be guided by their parent’s on proper hygiene. Hi I have a 7 year old and a 5 year old son with autism his dentist said they both need to have fillings and x-rays done they will have to put them under I’m a little scared about that should I have them do it ? It’s still their baby teeth. My baby young toddler has 16 teeth in her mouth and recently went to her first dental checkup. The dentist said that her mouth was full of small cavities and she wants to fill 3 of them. I was upset because I’ve brushed her teeth twice per day since her first tooth sprouted, and I thought I was doing an okay job. The dentist said my baby wouldn’t need any kind of anesthesia. At first I thought maybe they wouldn’t be drilling, but when I asked, the dental assistant said yes, they drill but the cavities are so small that drilling won’t cause pain. I’m worried about that. I understand there are risks with using anesthesia, but I don’t want my baby to have a traumatizing experience, either. And if the cavities are really that small, do they really have to be filled right now while she is so young? Do you think there could be a chance that her teeth will remineralize? Since I’ve learned about the cavities, I started using a children’s toothpaste with fluoride and brushing her teeth for a longer time. We also stopped giving her cookies and sweets, all of which the dentist recommended. Is there anything else I can do? my son 3yrs and 4months old had a small cavity in the tooth and i took him to dental and the dentist done white filling in it. After three weeks my son’s cheek got swollen. the dentist took out the white fillings and gave antibiotics and its better now. so is it necessary to fill up again or just leave like that? will it affect any other organ for filling up tooth for age under 4 before falling off their tooth? My daughter will be 8 in 2 weeks and went for her yearly cleaning yesterday. The Dentist said that she has 6 cavities and they all need to be filled $700.00. Is this normal 6 in 1 year. My daughter does have a poor diet and will not floss. Should I get a 2nd opinion? Mommy will not change her diet since she is a very picky eater and would rather not eat then try something new. I am a concerned father that is divorced and only have limited visitation and can not make a difference. Thanks!!? I have a daughter who is 5 years old and has one very tiny cavity on the top of one her back tooth. We took her once to true getting it filed and they got one shot in but stopped after that because she is completely terrified of more shots. They want her to see a specialists to put her to sleep to fill it but I don’t believe a child so young should be put to sleep. Her tooth doesn’t hurt her and her teeth are very health besides that one. She brushes 3-4 times a day now and cut back on sweets. Do you think it is necessary to take her into a specialist to fill a cavity so little? My 6 year has some cavities in her teeth and the dentist wants to cap All of them is this necessary. Or should we just get them filled rather then having then capping them. my 23 month old has decaying front teeth. 3 specifically. I dont give her all types of candy and junk, and she eats well. But she does use a sippy cup at night with milk. I noticed her teeth about a month ago start looking funny , and since then have gotton worse very fast. Today i noticed she lost the corner of her tooth. No falls, no trauma. Its just gone. Im going to make an apt tmw gor the dentist. But im very scared about the outcome. Is it possible for her to get a colord filling ontop of her front teeth? I am no longer going to allow her a cup at bedtime. I feel like i have failed her by doing so, and her smile will never be ther same . Hi Ashley, I’m going through the same thing with my baby. His teeth got bad fast. The pediatric dentist I took my son to seemed too relaxed about it and nothing has been done about it for months. What ended happening at the dentist? How did they help fix her teeth? Poor thing. I hope everything turned out okay for her. So in addition to brushing her teeth with 2 tooth pastes, we are also now dipping her toothbrush into mouthwash and brushing her teeth with that to help deposit flouride on her teeth. Also, we bought MI Paste Plus to rub on to her teeth overnight. The dentist wants to see her every 3 months to apply a fluoride coating onto her teeth — so I guess we’re going the remineralization route–dentist doesn’t want to do work on her teeth until after she’s 3. I wanted to get them filled asap but I don’t mind treating the decay this way, it already seems to be working. Hello. My son is 5 yrs old and took him to the pedi dentist. The dr said he needs crowns and fillings for his back teeth, possible root treatment and his front teeth need to come out. I initially took him to the dentist because he had a little ball on his gum above the front tooth. When he was 2 yrs old he hit his 2 front teeth then they turnes brownish. He has never complaint about pain. He eats great. Has no problems eating apples or anything at all. My 5 year old son has cavities on his two back molars and I refuse to put him under for fillings. I finally found a dentist that will do it awake. He was three when it first started and not the best patient, so the fillings were “band-aids” and have now fallen out. He is to get real fillings now that he is older to tolerate more time in the chair with his mouth being worked on. I think fillings are worth the money on baby teeth to avoid infection. It is a tough call, but if you are ever uncomfortable with a procedure or putting a child under, find someone else that will work with you. I drive 45 min. to this dentist and the first three visits were to play with the dentist tools and get comfortable and they were also free – this dentist was/ is a blessing. Okay My situation is far beyond cavities. My 4.5 year old has tooth decay in pretty much all her teeth. That being said, this started a little after they came in. I nursed until she was 12 months old, she went straight to straw cup not sippy and I brushed her teeth the same as I did my 7 year old. He has no tooth decay. I’ve recently changed dentists because of the awful care we all received in their care. The pedo never once told me my daughter has early signs of decay. She filled them as cavities and obviously made me feel like the worst mother on the planet. Since switching after 2 years there the new pediatric dentist says her decay is severe and wants to cap almost every tooth silver. I’m pretty upset I didn’t know her teeth were so bad, She’s always going to have to be Extremely on top of it even as an adult. Now I’m faced with this treatment plan our new pedo wants to do under anesthesia. Is there anything other than Silver teeth that we can do? There’s no pain at all in her teeth. Get your daughter on the weston a price diet.look up Dr weston a price. It’s a strict diet but we’ll worth it. It’s modern diets which cause decy but parents are always blamed by the money loving dental industry. Drilling and filling baby teeth should be avoided if at all possible, but many dentists will never tell you that! Example: THIS VERY ARTICLE! Too many dentists are eager to drill and fill baby teeth for the almighty dollar! And parents too often trust these dentists 100%! Some of these dentists have un-necessarily used anesthesia on children, even straight jacket harnesses when it was unnecessary! Some children have been traumatized and have even died from complications of this! Parents – instead of trusting children’s dentists 100% – think and try to use common sense! Your child’s mental health, even their very life may depend on it! My daughter just got her filling but i noticed her silver filling has numbers written on it. I wonder what that was is that normal or should i complain….in all my life i never seen fillings with writing printed on it. She likely got a silver colored crown. Those have numbers written on them to differentiate which size they are. They normally get polished off, but that may not have been done. Nothing to be alarmed about. Have a great day! Should i go back and get it polished? My soon to be 9 year old had cavities in two of her upper first molars. The dentist suggested that she gets them pulled out because her lateral incisor was struggling for space. Coming back home I started wondering whether that was the right thing to do and upon reading I realised that restoring baby teeth is always recommended as opposed to pulling. I am wondering the damage I have caused my daughter’s future teeth. Any advice? My 4 yr old almost 5 had a check up today. I was told she has 5 cavities. 2 need root canals and caps in the back bottom. Would u recommend just pulling the teeth? PULL! The Dr is just padding his wallet. They are as bad as Chiro doctors……. My son who is nearly 10 has a small cavity in a molar. Two molars have fallen out in the last week so I can’t see any point in putting him through having a filling. He has no discomfort from it either. If that changes of course I would get it filled. Am I missing something or do you agree I should leave it for now? Thanks. My 3 year old daughter went to a pediatric dentist for a consult referral from our dentist. Since her front teeth have started to settle down more there is erosion at the gum line. She also has a sensitive dark black spot on back molar. When leaving I completely lost it. The plan they gave me was for 8 cavities and a procedure that has to be scheduled at the hospital under general anesthesia. The bill I was reaponsible for just for the dental work was crazy. Let alone the anesthesia and hospital bill of who knows what. What is the best way to find out what is necessary and what is not? I couldn’t go in the back with my 3 year old to even ask the dentist questions. I didn’t like that but had been referred by people I trusted and they have taken their kids there. I’m just overwhelmed by this news and have no idea what to do. I had called back to see what bill would be to do them in multiple visits in office and they refused. Our insurance only covers 50%. This bill is a lot for us right now. Tom, Are there any vitamins you can recommend that would help strengthen enamel/bone health in young kids. I just found out my son has many cavitites and I feel horrible. We have good brushing habits, eat a healthy diet with hardly any processed sugar and i have always diluted any juice he gets. We did have reverse osmosis drinking water, which removed flouride and I used the flouride free toothpaste until about a year ago because I thought flouride was bad for kids. Realizing now that he probably wasnt getting what he needed to form strong healthy teeth.. can I fix this? Did you put the diluted juice in a sippy cup? Diluted juice in a sippy is just as bad as concentrated juice and can cause rampant caries. Take away the sippy cup as soon as possible and give your child a regular cup to drink from. Hi I am wondering generally how old a child needs to be to have teeth worked on without being “put under”; obviously it will depend on the child slightly but by general rule of thumb when is it? My son will be 3 yrs old in May. He has cavities on both of his first lower molars. His dentist applied silver diamine fillings every 2 mos. before(i think more than 3x) but now he recommends to do therapeutic pulpotomy and put silver crowns. he said he will be put to sleep in a hospital. I am afraid of my little one undergoing general anesthesia. Is it ok if we just leave it like that and do that stuff when he is a bit older? I’d rather have them filled than have them ripped out. I have had a dentist suggest ripping out several of my sons teeth under general anesthesia however he has zero pain or sensitivity. Also crowns in his back molar however he also has again… zero pain. Why should i risk my kid to some sort of general anesthesia problem if he doesn’t even need removal. You have no idea how hard it is to find a good dentist. hi.. i have a 1 year and 3 mos. baby boy,he’s front teeth are starting to have a cavities..why he has like these tooth prob. thinking that he is full breastfed?are there any solution?is pasta recommended for baby? Hi my 22 month old has 4 cavities and his dentist wants to put him under anesthesia at a hospital with a professional anesthesiologist and he will be monitored thru out the whole procedure. I just want to know if he is too young to get this done? My daughter is 9 and has a cavity in her first molar. The dentist saw it with bite wings and though we can’t it, she said it looks worse on the x-ray. We plan on flossing daily and using xylitol gum to slow down the decay process. If we do that and don’t physically see the cavity getting any bigger, is there still a possibility it could go down and effect the new permanent tooth that will erupt in a year or two if we don’t fix it? My granddaughter will be 6 on October 31. She has a cap on her second bottom right molar which the whole side just cracked off. We went to the dentist several months ago when we noticed a small hole in the cap and they wanted to replace the cap. Our cost after insurance is $729 which we can not afford and seems awfully high. Would it be too early to tell them to just pull the tooth? We do not want to damage her permanent tooth that will come in later. I was reading and it looks like the permanent tooth would not come in until she is 12 is that correct?